Lipidol Sunscreen Oil SPF 20 creates an invisible barrier that helps to protect not only against the sun, but also against the harsh effects of wind and water. Apply before going outdoors. Reapply after swimming. Fragranced with Cypress and Basil essential oils. I was absolutely intrigued by this product and rightly so, as it impressed me in every way possible. I tested it on a warm and sunny day – after a couple of hours outside, my skin was still 100% pale and 0% sunburnt. It absorbed easily upon application and left my skin with a subtle sheen instead of a greasy residue. My only criticism is the scent – I didn’t like the smell of the liquid (it reminded me of grass), however, after about two minutes of being applied, it disappeared completely. Will definitely re-purchase! I didn’t find this oil in particular very protective, even though it has an SPF 20. The smell was very nice very similar to basil. The oil lasted the whole day and the consistency was not too thick. Although the oil is more of a suntan oil it doesn’t really offer any tanning. So if you looking for sun protection I suggest a sunblock instead. Overall not too thrilled with this product. I bought this thinking it to be a sunscreen however the bottle says suntan oil with spf 20. 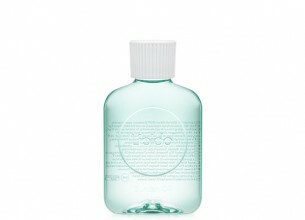 It’s scent is delicate and fresh and even though it’s an oil it absorbs cleanly and offers protection again sunburn. I am quite happy.